In a large bowl, combine lime juice and sugar. Cover and refrigerate. Just before serving, stir carbonated water into lime juice mixture. For each serving, place 1 tablespoon cherry juice in a glass. Add crushed ice and about 1 cup of lime juice mixture. 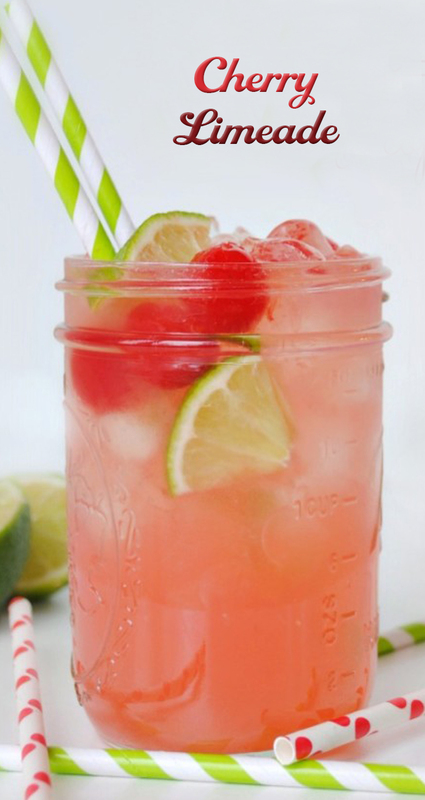 Garnish with a maraschino cherry and a lime slice.